Before getting into The slump test procedure know about why we perform Slump test on concrete? Slump test procedure is performed to check the workability of concrete. A good workable concrete has good strength. What is Workability of Concrete? 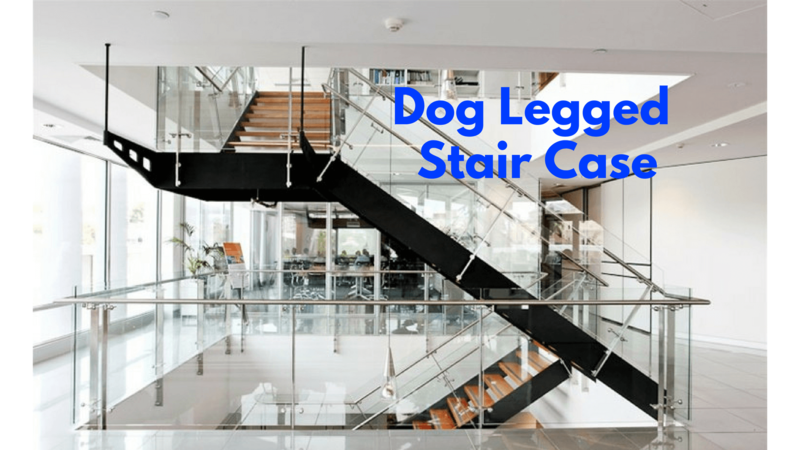 Workability is a complex property of concrete which is defined as the ease with which it can be mixed, transported and placed in position within a homogenous state. Workability depends upon the quantity of water, aggregate grade and percentage of fine materials in the mix. Many researchers have tried with different parameters to measure the workability of the concrete and later found some of the tests which are very close to check the workability. The following tests are commonly employed to check the workability of concrete. We usually perform Slump test on site and lab due its ease and results. It gives quick result about the workability of concrete. No matter, Slump Test is a leader among the above tests. Although it is very easy to perform this method. But it is not suitable for very wet or very dry concrete. 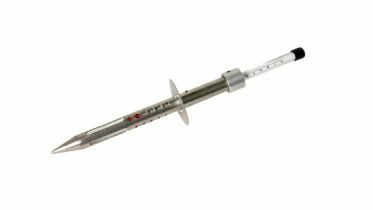 This test can be used as a control test and gives an indication of the concrete uniformity from batch to batch. Repeated batches of the same mix, brought to the same slump, will have the same water content and water cement ratio, weights of aggregate, cement and admixtures are uniform and aggregate grading is within acceptable limits. In this test, The quality of concrete can be obtained by observing the manner in which concrete slumps or deforms. The apparatus required for conducting Slump test are Mettalic Mould which is in the shape of frustum cone, A tamping rod with bullet end, Scale or tape for measuring the slump. Metallic sheet for placing Slump and trowel for pouring concrete in the slump. Frustum cone has two different diameters one at the top and other at the bottom. The dimensions of Frustum cone is mentioned below. This rod has a Dia of 16mm and bullet end at one side. 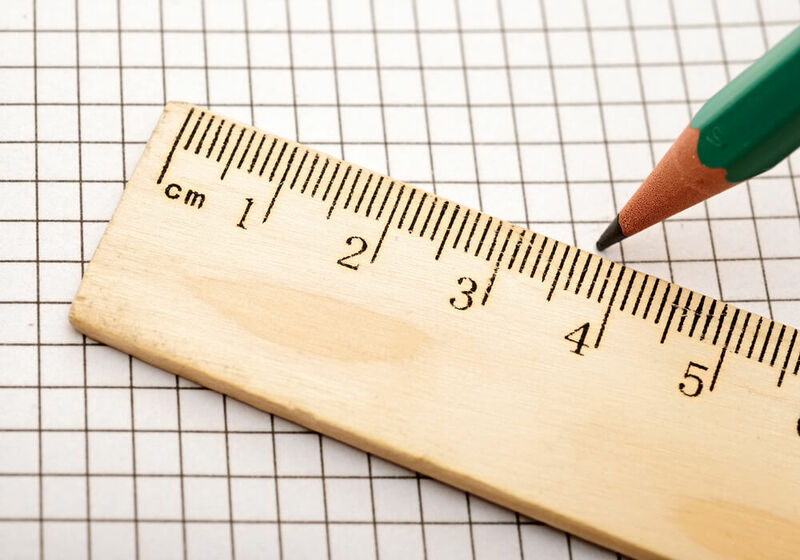 The height of tamping rod should be 0.6m long. Thoroughly clean the inner surface of Frustum cone and it should be free from moisture content and adherence of any old set concrete. Now place the Mould (Cone) on the metallic steel plate or on any smooth surface. Fill the cone with concrete in four layers each with an approximate height of 1/4th of the mould. Each layer is tamped 25 times by tamping rod taking care to distribute the strokes evenly over the cross section. Now after filling the 4th layer, the concrete is struck off with the trowel. The mould is removed from the concrete immediately in a vertical direction by raising it slowly and carefully. This allows the concrete to subside. This subsidence is called a SLUMP. Now measure the height of the mould and highest point of the slump in mm. The difference between the Height of the mould and highest point of the Subside gives the Slump value. You can also learn about the quantity of Cement, sand and aggregate used for Different grades of concrete. 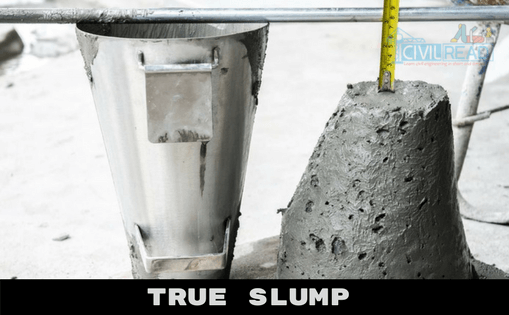 If Concrete Slumps evenly and forms a shape same as a mould then it is treated as the true slump. 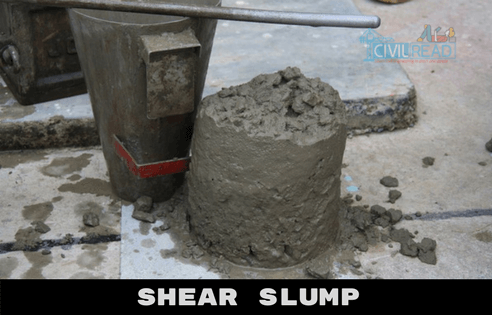 If half of the slump is slides down then it is called as Shear Slump. It indicates that the concrete is non-cohesive and have characteristics of segregation. When the whole slump disintegrates in all directions and does not hints the shape of mould then it is called as collapse slump. 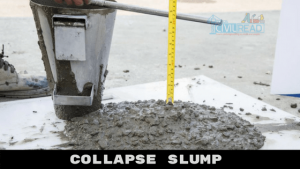 Collapse slump is formed by adding excessive amount of water in concrete to increase the workability. This test doesn’t suitable for Dry and Stiff concrete. For very Dry and high stiff concrete does not show any difference after removing the mould. Slump test shouldn’t be carried if the aggregate used in concrete is above 40mm. This test is not suitable for very dry and high stiff concrete. 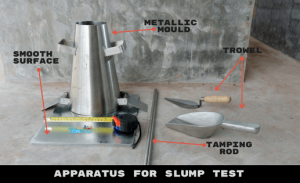 Slump test procedure can be performed in laboratory as well as construction site. It requires less apparatus when compared with the other tests. It doesn’t take much time to evaluate the results. If civil read is 52 yrs old i hve not found lots of topic. 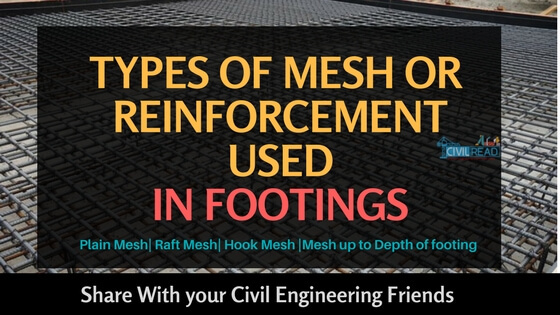 Have found few topic in civil eng. Will u please temme if u have many more topics from civil at your site. Dear Krishna, I am very glad that you started a helping chain for Civil Engineers. I am requesting you to post about estimating and costing as I am poor in this. Solid info about slump test.